We Buy Oklahoma City Houses Need To Sell Your House Fast? We Buy Houses! Sell your house Fast in Oklahoma City and surrounding area. Get an “AS IS” Fair Cash Offer Today. Avoid listings, repairs, appraisals and months of uncertainty. Homeowners work with us because we provide a hassle-free, “No Obligation” cash offer, closing on the date of your choice and we pay closing costs. You're one step away from selling your home. Fill out this simple form and we'll contact you today. Receive A Cash Offer On Your Property Today! I Need To Sell My Property Quickly… Is that you? We Buy Houses In ANY Condition, Price, Or Location: Receive A Great Home Offer Within 24 Hours. Need to sell your house fast in Oklahoma City or surrounding areas? We’d like to make you a fair all-cash offer. We’ll GUARANTEE that offer and can have cash in your hand in as little as 7-10 days or close on the date of your choice. All you have to do is grab the items you want and walk out. We take care of the rest. Sometimes folks just need some direction. If I think you can get more by selling through a Realtor, provided you have the time and energy to go through the cleaning, listing, marketing, showings, appraisal, repairs, lenders, etc. I’ll simply tell you so and help you do just that. I’ll use my 14 years in the real estate business to help you understand your options. Once you are armed with all the info you can make an educated decision that best suits you. Think of us as your EASY BUTTON. So give us a call, let’s sit down and talk! We buy houses in any condition… as-is… We pay closing costs… let us take over the burden of that unwanted property. There are lots of situations where we can help, including… avoiding foreclosure, divorce, relocating, inherited an unwanted property, own a vacant property, upside down in your mortgage, tired landlord, behind on payments, owe liens, downsized and can’t sell your house, needs repairs you can’t pay for, fire damaged, bad rental tenants, and more. Receive a fair offer and our free guide on "How a cash home sale works". Looking To Sell Your House or Rental Property For Cash? Do you need to sell a home, but have little or no equity? If you can’t, or simply don’t want to pay hefty Realtor fees out of your own pocket to list a home that is upside-down, don’t be discouraged.. we can help. We will market your home using the most up-to-the-minute methods, guaranteed to put your home front and center for Buyers to see… and it’s free to you! We have a solution for every situation. Are you an owner of rental or investment property who is ready to sell, but doesn’t want to deal with the tax consequences of selling a property outright? What about the owner of unwanted, out of town inherited property? How about that immediate job transfer you would either love to or are required to take, but can’t afford two house payments during the time it takes for you to sell your home? Military deployment? There’s nothing we won’t tackle! Selling your home quickly can help you achieve that. Don’t worry about cleaning or repairing the home. We’ll handle that for you. We make the home selling process easy and headache free. We pay cash for homes in and around Oklahoma City area and can close in as little as 7-10 days or when it’s convenient for you. If your property is in need of some work, you need to sell quickly, or just want an easy transaction selling to a “we buy houses in Oklahoma” company is the way to go. Selling to a cash buyer is by far the easiest way to sell a property. Cash buyers are experienced, and can usually close quickly, without inspections and appraisals. Additionally, cash house buyers are not like owner occupant buyers. Owner occupant buyers are pickier and require inspections, appraisals (sometimes 2 appraisals) and more time. Important to note that cash house buyers rarely can pay full market value for your property. Pros: Selling to a “we buy houses” company can get you a faster closing using cash. Usually closing in 7–30 days or whenever works best for you. No waiting on banks. Less inspections and no appraisals. No back-end fees, sell “as-is” without spending any money on repairs, cleaning or marketing. Basically, you just grab the items you want from your house and walk out. We’ll take care of the rest. Cons: Cash house buyers rarely pay full market value. Each way of selling has its advantages and drawbacks. The important thing to do is to assess your situation and determine what option is best for you. We purchase houses in Oklahoma City and all surrounding areas. If you need to sell your house fast then contact us today for a fair no-obligation, no-hassle offer. It only takes a couple of minutes. 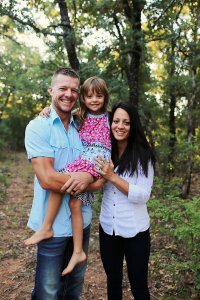 Our family has been helping Oklahoma City and surrounding area house owners with real estate problems since 2005. Working with Derik was a very good experience. He is a man of his word. I would definitely contact him again to do business. Derik was very nice and easy to work with. The sale of the property was easy and fast. I would recommend using Metro Cash Offer for the sale of your property if you need a quick and hassle free transaction. We had our home listed with different Realtors for nearly 12 months with no luck selling. When we contacted Metro Cash Offer Derik met with us immediately and made a cash offer on our home. 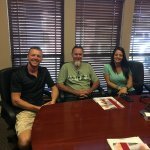 We closed quickly and were able to move on with our lives and purchase another home right away. Thanks for your help! We are a family owned real estate solutions company that specializes in helping homeowners sell their burdensome property fast. Closing hundreds of transactions since 2005 servicing Oklahoma City and surrounding areas.